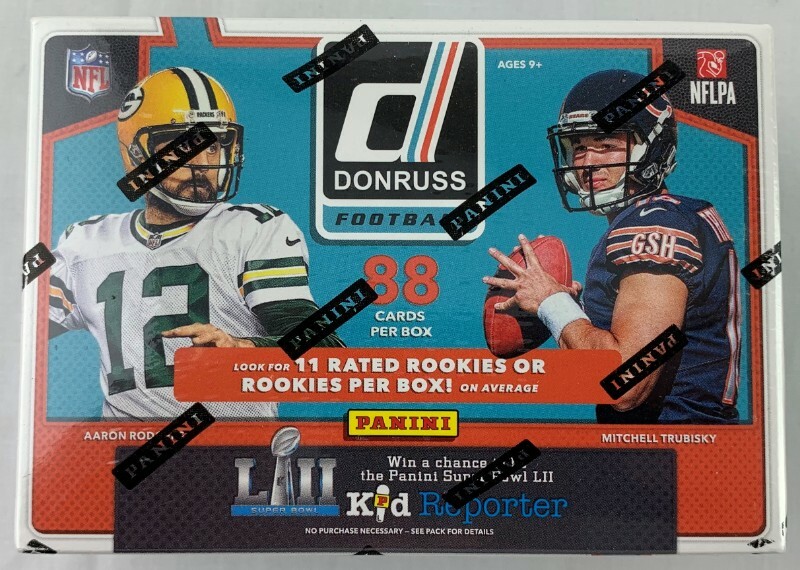 Lot Detail - 2017 Donruss Football cards - Sealed Blaster Box - Possible Patrick Mahomes Rookie! 2017 Donruss Football cards - Sealed Blaster Box - Possible Patrick Mahomes Rookie! 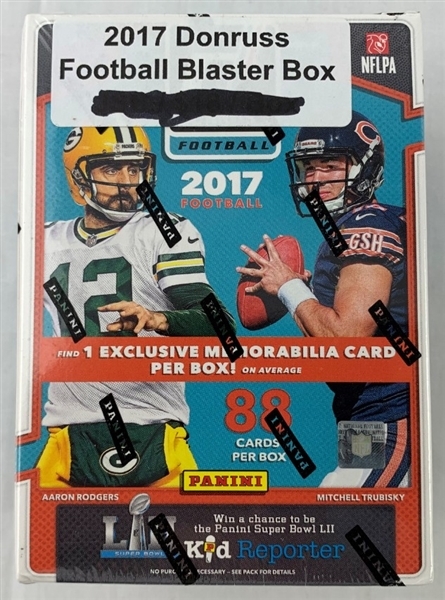 This is a sealed Blaster box of 2017 Donruss Football cards. Each box contains an average of 11 rookie cards and one relic. 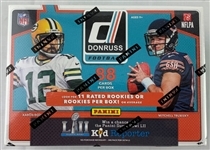 This set includes Rookies of Christian McCaffrey, Leonard Fournette, James Connor, JuJu Smith-Schuster, Patrick Mahomes II, Mitchell Trubisky, Cooper Kupp, Evan Engram, Kareem Hunt, D'Onta Foreman, Deshaun Watson, and more. Each box will contain 88 total cards on average.